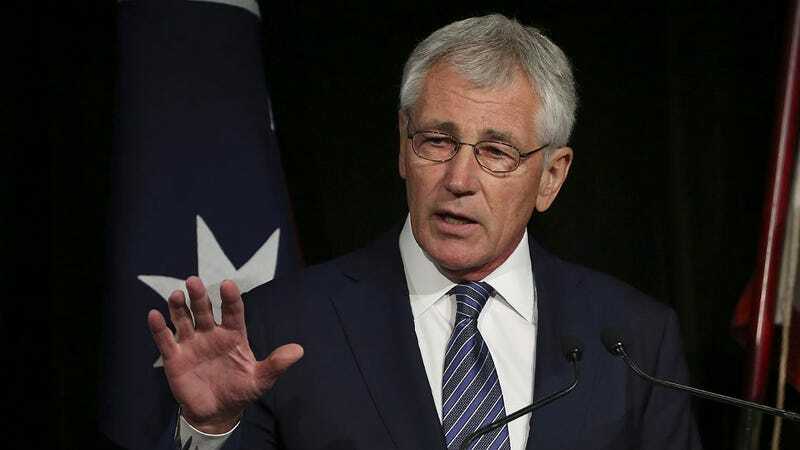 Defense Secretary Chuck Hagel took time from his busy schedule to say that black women in the military could have braids and twists again. Back in April, Hagel and the military came under fire after releasing restrictive rules surrounding women's’ hair that specifically interfered with African Americans ability to care for their coils. A number of soldiers of color kicked off an online petition and enlisted the Congressional Black Caucus to champion their cause in Congress and it looks like their outcry worked. On Thursday, in a letter to the chairwoman of the Congressional Black Caucus Rep. Marcia L. Fudge of Ohio, Hagel wrote, according to the New York Times, that the Army and the Air Force would loosen their follicle restrictions to allow cornrows, braids and other hairstyles that make life easier for women of color starved for hair products in far-flung places. He added that the regulation material would remove problematic language like "'matted and unkempt" to describe hair. The Marine Corps will reportedly reassess their personal hair policies this summer. “These changes recognize that traditional hairstyles worn by women of color are often necessary to meet our unique needs, and acknowledges that these hairstyles do not result in or reflect less professionalism or commitment to the high standards required to serve within our armed forces,” Ms. Fudge said.